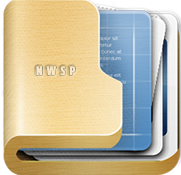 All data in your NWSP account is owned by you and NWSP treats all your data as private. We do not sell your Email or name or phone number to anyone no matter what. We only keep your data for a very limited period of time, once your project is over we scrap all data and source codes. We don’t install any cookies on your computers. The only data we have about you that you provide us in order to get a quote or in order to send you invoices. If you have your own hosting service then we only need info to install your website after that we highly recommend that you change access codes.